Because Snoop Dogg and weed go together like bagels and cream cheese, one should never express too much surprise when hearing that The Doggfather has been arrested, usually at an airport, for trying to board a flight weighed down with the sticky icky. So please save your questions for the end when I tell you that, yet again today, Snoop was stopped at customs in Norway with eight grams of bud, which if my memory (unless my mom is reading this, in which case my research) serves me is a pretty hefty quarter-bag. 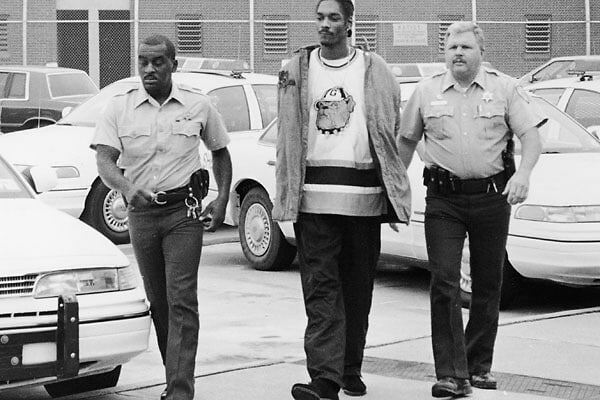 Let's take a look at where this latest incident falls in the pantheon of Snoop arrests.